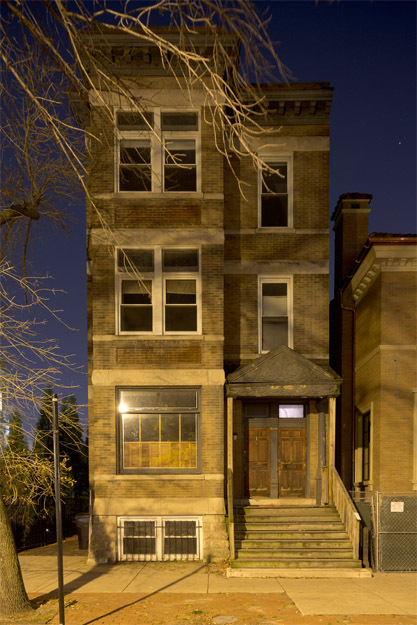 Gapers Block - To be Demolished: 1944 N. Burling St.
Like so many other buildings in this area of Lincoln Park, this orange-rated three flat would not be demolished for structural problems in the likely event it is cleared for demolition by the city. It is located between the Richard Parrillo, Sr. residence and a building in the project, 1948 N. Burling St.
huge sun drenched 3 bedroom on beautiful street in lincoln p ark. street parking is very easy! free washer and dryer! e xposed brick, fireplace and huge living area! duplex down o ffers vintage feel with central air and heat. close to shops on armitage and north ave/halsted areas! amazing location! ! don't miss out!